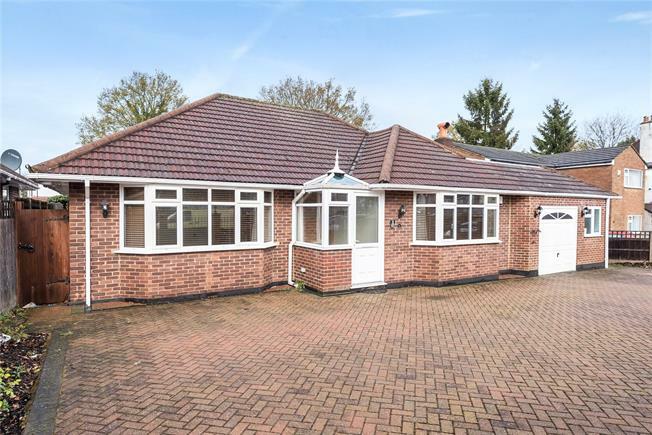 2 Bedroom Detached Bungalow For Sale in Croydon for Asking Price £565,000. CHAIN FREE. Detached, well presented two bedroom bungalow. This property offers spacious and versatile accommodation and briefly comprises; porch, entrance hall, good size hallway, reception room with feature fireplace, two double bedrooms, modern fitted kitchen, wet room with free standing bath, separate WC, study area and an attractive 25' conservatory with doors out to garden. Externally the rear garden is in excess of 85' and is mainly laid to lawn with a patio area. To the front there is ample off-street parking, a garage and secure electric gates. This bungalow is set in a great location close by local shops in Shirley, bus routes, schools and is accessible to both Croydon and West Wickham stations and town centres.